Kendal is now home to it's first dedicated SPECIALITY COFFEE HOUSE, which if you know me at all, makes me very happy. I've been shooting for Rinaldo's Coffee, who provide the house roast for the new coffee shop, since they started roasting and when I was asked to shoot for this place too ... well, come on, I was never going to say no! Allow me to introduce THE BRISTLY HOG. After two shoots together (one was an editorial for Cumbria Life magazine, one an event shoot for their pre-opening) I was delighted to walk through their doors this morning as one of their very first customers. 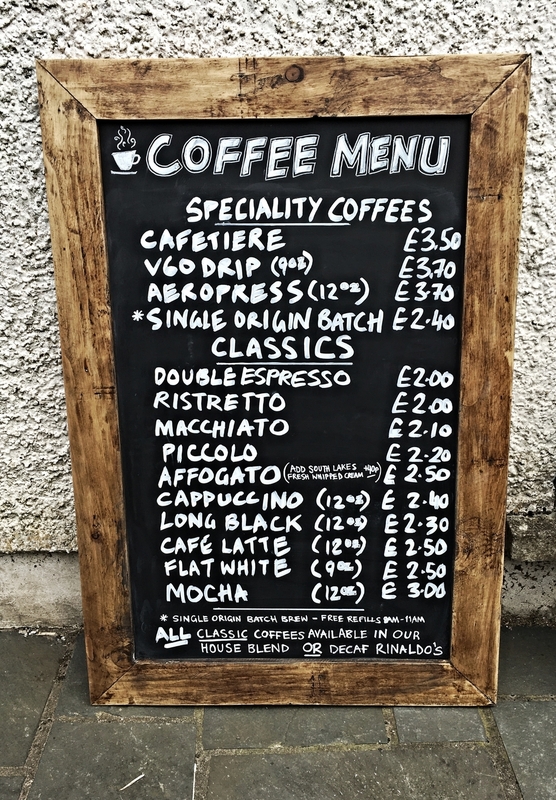 As well as shooting for them, they also asked me to create some chalkboard signage too ... and I thought I would share it with you.